While this is all happening Li Sha swims back but realises her dress slipped down (revealing her bodysuit / shapewear underneath). As she drags herself out of the pool Ye Chen tries to wrap his jacket around her (awwww he’s so sweet!) but Li Sha is so shocked she didn’t know what he’s doing so she pushed him into the pool! How ungrateful is she! Being as tall as he is (Dylan is 187cm!) Ye Chen didn’t have to ‘swim’ back lol, he just stood there and played cutsie with Ping An again. OK, that I mean she’s laughing at him and he’s playing cool and all. So Li Sha runs into a room and starts having a hissy fit at her brother. Screaming oh I don’t want to see anyone and all. But when she opens the door, Huo Ying is not there anymore, it’s Xi Le bringing her some clothes. During this scene Xi Le notices a scar on Li Sha’s arm – and we get a flashback of what happened at the orphanage. Packing up for the party, Ping An shows some sign of jealousy (!?!?) having a go at Ye Chen for saving that ‘princess’ Li Sha. But Ye Chen is the rational one (as he always is) telling Ping An she’s the one in trouble for pushing Li Sha into the pool, with everyone watching. While Ping An just does things to defend Xi Le without thinking, Ye Chen reminds her she needs to think about how her actions will affect Bai Ming Li too. I think Ping An’s learning now, since she makes the comment that – “How come you can see through everyone?” Ye Chen brushes it off by saying he learnt it in prison… oh just stop it, just stop being so cute okay. 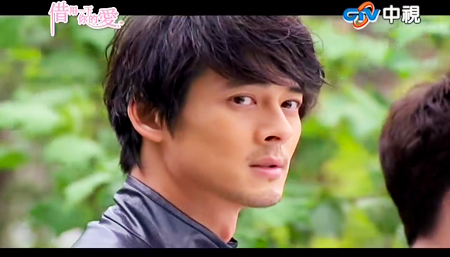 Ping An finally starts to realise Ye Chen is a good person, and wants to know why he went to prison. After the rescue, seems like Li Sha starts to have the hots for our cool bodyguard HAHAHAHA. She asks for his name and tells him she’ll repay him for his clothes. But he just scoffs. LOL. Best response ever. Creepy Zi Wen is sitting at his home drinking wine. Every time I start to have sympathy for him, he just sits there like he’s Bond movie villain. (I can totally see him laughing evilly and stroking a cat or something.) He’s expecting Xi Le crawling back to him, but when the door bell rings, it’s actually Blackie. Zi Wen and Blackie makes a deal, Zi Wen will drop the charges (about the kidnapping I think?) so Blackie can stay and occasionally ‘help’ him. Just as they’re shaking hands, the door bell rings again and it’s Xi Le this time. 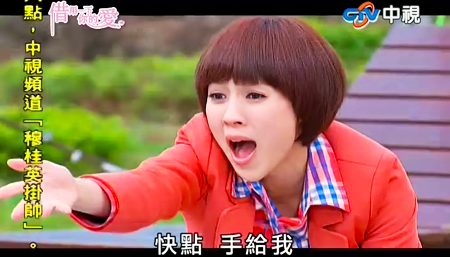 During this sweet scene Ming Li’s stomach starts growling so Ping An cooks her instant noodles. Ming Li notices that something is different with the soup – hrm… milk was added. (er… does this actually work? I’m curious now.) Actually Ming Li used to add milk to the instant noodles she cooked for her husband. So Ming Li declares this to be the best noodles she has had. 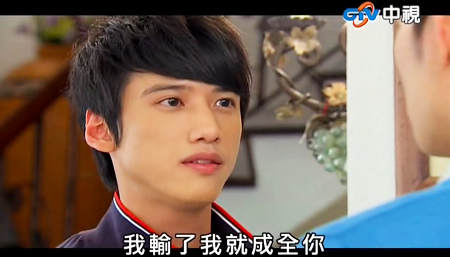 The next morning Xi Le wakes up in Zi Wen’s bed (NOOOO~~) and he starts calling out Wei Zhen. Hope that was a good night for you Xi Le since calling out some other girl’s name is like… a total deal breaker and a sign you should be running, fast. She of course wonders who Wei Zhen is, and then gets hit with a double whammy when she sees the tie pin from Ping An. He’s three timing now? At the shopping centre the girls are happily walking together reflecting on this new chapter of their lives. Now Ping An can work for her happiness, not just for money. While Ming Li doesn’t oppose Xi Le going out with Zi Wen. er… did she forget he was calling some other girl’s name before? 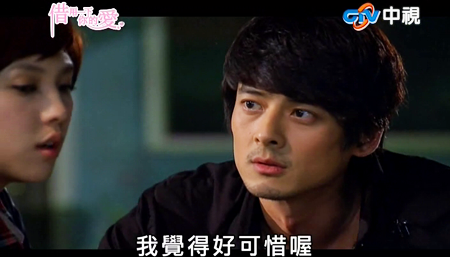 Ye Chen meets with Detective Hsu to ask whether they’ve caught Blackie yet. The detective informs him Zi Wen dropped the charges… Ye Chen knows this can’t be Bai Ming Li’s idea, so why did Zi Wen let Blackie go? So to promote his new brand of pearls, Huo Ying comes up with the idea of using Xi Le as the spokesperson. They go to a resort type location to shoot the ad. 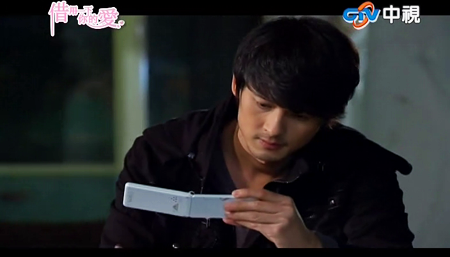 In their room, Xi Le tries to suss out how Ping An’s tie pin ended up with Zi Wen. Ping An lies that she gave it to Ye Chen… Xi Le deduces that Ye Chen might’ve re-gifted it to Zi Wen.. which would be logical except why would anyone give a tie pin to Ye Chen in the first place? Xi Le suspects something, but lets it go… she tells Ping An that Zi Wen and Ye Chen will arrive later, so they can have a double date. Ping An looks worried, but I’m fist pumping lol. Huo Ying’s idea for the photoshoot is a story about a beautiful angel (fairy or similar) who falls in love with a fisherman. But due to their different backgrounds they cannot be together, so she would rather turn into pearl so she can be with him forever…. okayyyy corny, but okay. As the ‘Artistic Director’ of the advertisement Ji Li Sha bosses Ping An around to do everything. After a long day, Ping An is ready to sleep but Xi Le reminds her about the double date. Xi Le tells her to rest a little but don’t forget about dinner! 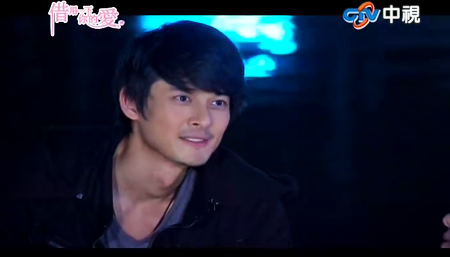 Zi Wen and Ye Chen arrives at the resort so Ye Chen gets the chance to ask Zi Wen about Blackie. Zi Wen of course pushes all of it on Bai Ming Li, saying it was her idea to drop the charges. 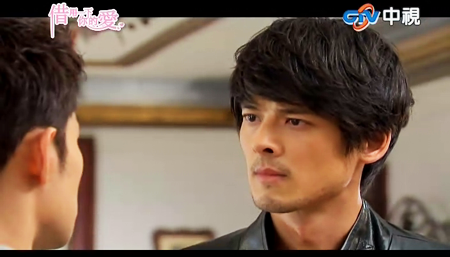 He also plants a seed of doubt in Ye Chen’s mind, reminding him Bai Ming Li is devious and cannot be trusted. I guess there’s some truth in this, but being the most clear headed person in this series so far, Ye Chen should know better. Before the guys could check in someone asks Ye Chen to go to the restaurant, it’s Ji Li Sha waiting for him. She makes some excuse about thanking him but he’s not interested, HA. Just as he’s leaving Xi Le and Zi Wen arrives. Xi Le reminds Ye Chen Ping An is coming too so he stays… while Li Sha gets all pissed because she’s not getting what she wants. HAHAHA. As a courtesy I suppose, Zi Wen invites Li Sha to join all of them too. Well, Ping An just wants to stay in bed but gets up anyway for the dinner. Now she’s panicking about eating at a high class restaurant as she doesn’t know how to use the cutlery. (She should just watch Titanic, seriously. The only thing I learnt from that movie is – start from the outside okay!!!) She calls someone for help but without success. Just as she opens the door, Huo Ying is there looking for Xi Le. So we end up with everyone having dinner together. During the dinner Li Sha doesn’t miss the chance to embarrass Ping An by ordering crab for her. Now how does anyone eat crab with grace at a dinner table? I have no idea, and that’s Li Sha’s intention. She got her wish as Ping An tries to cut the crab, it goes flying through the air. Just as Ping An picks it up from the ground she bumps into a waiter which causes the crab to go flying again… onto Li Sha’s head this time LOL. Okay, so I chuckled a little but I’m not sure I’m liking how the writers are playing the ‘Ping An as a victim’ card. Li Sha at the moment is just a complete b*tch and can’t earn any sympathy from anyone. This is the moment when Ping An realises she might have feelings for Ye Chen. Afterall, every time she’s in trouble he comes to help her. YC: You should go to sleep first. I’ll give you the sketch tomorrow morning. PA: No that’s okay, how can I leave you working alone here, and then I go to sleep? YC: Okay then, after I finish sketching, we can go to sleep together. PA: Who wants to sleep together with you? After Ye Chen finished sketching he tells Ping An to get some rest. But Ping An stares at the river, saying that during the day she saw how beautiful it was, and didn’t have the chance to go on a boat to see it. So Ye Chen drags… (as he’s always doing!) Ping An to go on the boat. They comment on how beautiful the stars are, while Ping An thanks him for… everything. (awww.) Plus she takes the chance to ask him why he went to prison, and he tells her the truth. Initially she calls him stupid for taking the rap for someone, but amends it to ask whether it was worth it? Ye Chen responds that he used to think it was worth it.. but now, he doesn’t know. Of course he means Ping An!!! 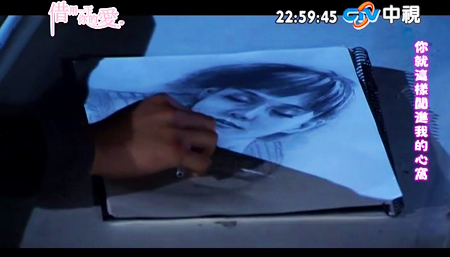 But she falls asleep… as he watches… then sketches her. And eventually they both fell asleep on the boat. Thank you writers, for FINALLY giving us the PingChen moment we’ve been waiting for so long! Next we have a rather random scene of Xi Le in a wedding dress, walking down the aisle and the person waiting for her at the end is Zi Wen – which… is an imagination of course lol. She’s shooting a scene for the advertisement and as Ping An arrives, Xi Le asks her where has she been for the whole night. Xi Le acts a bit irrational here and says something like, I don’t care if you spend the whole night with Ye Chen! Then walks off. Guess Xi Le is in a bad mood? While shooting for the advertisement, Xi Le has to stand on the boat in the middle of the river. Xi Le is apprehensive about being on the boat because of the swimming pool incident, but Huo Ying insists as this will give the photos maximum effect. Ping An watches on the shore wondering if Li Sha will do anything to Xi Le again, but to her relief, she sees Ye Chen and Zi Wen arriving to watch the photoshoot as well. Now Ye Chen is totally smiling at Ping An like no one’s watching while she’s pretending to be all shy and looking away. STOP IT you two. Leaving the photoshoot, Zi Wen is on the phone with Blackie, who tells him something is fishy with Director Ji… but we don’t get to see what it was about. 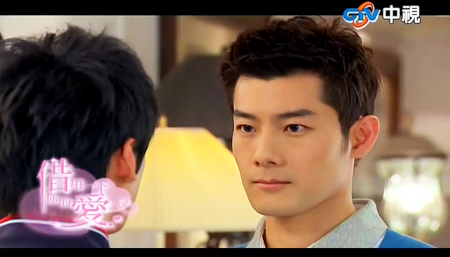 After the phone call, Ye Chen confronts Zi Wen about him calling out ‘Wei Zhen’ earlier. 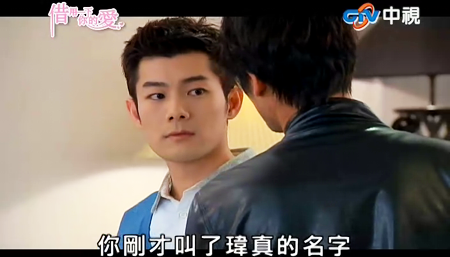 Zi Wen tries to brush it off by saying he heard wrong, but Ye Chen insists. Zi Wen reminds him they’ve grown up and he’s not a pushover anymore. YC: I originally thought you liked Ping An. She really shares a lot of similarities with Wei Zhen. But then you are together with Xi Le, and developing so fast, I don’t understand what you’re thinking. ZW: Yes Ping An is very adorable, but I later discovered I love Xi Le. There’s no logic in love, and that’s the truth. YC: I hope what you say is true. Ping An is not a substitute for Wei Zhen. I won’t let you have the opportunity to hurt her. If you have already chosen Xi Le, then please be good to her. I hope your choice was not influenced by her being Bai Ming Li’s daughter. ZW: (saw in the corner of his eye that Xi Le is watching… changes his tone) Actually I wish she’s not Bai Ming Li’s daughter. That means I won’t have any burdens, but I fell in love… I won’t leave Xi Le because of what other people say. Not only did Xi Le overhears this, Huo Ying also heard it and confronts Zi Wen. Huo Ying thinks this is embarrassing for him, so… he proposes some kind of duel? Seriously? Which century are we living in? I actually thought they are going to race cars or something, and I nearly fell off my chair when the duel is actually… a horse race. Suddenly this series takes a turn in hilarity again. Li Sha, Xi Le, Ping An and Ye Chen watch behind the barrier, but as Ping An gets excited and cheers for Zi Wen, she stands close to the racing ring and Huo Ying starts to worry about the horse might injure her. This distraction causes him to lose the race. 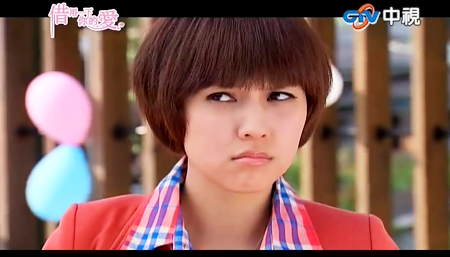 Li Sha also starts thinking she has a chance with Ye Chen, well, because she has an inflated ego. So she came up with this stupid plan of pretending to fall backwards, so Ye Chen can catch her… Well, Ye Chen actually avoided her this time (LOL!) and she fell on Huo Ying instead, injuring his leg as he fell on the ground. As he gets up, his pants split HAHAHAHHAHA. After all that hilarity, we’re back to serious business. Zi Wen meets Blackie outside the hospital where Bai Ming Li had treatment before. Blackie reports that Director Ji is meeting this girl again (the nurse that would be) and received a report. Plus he saw that Director Ji was laughing happily… So Zi Wen needs to think of a plan to get the report. He pretends he’s working for Director Ji and asks the nurse for another report. Zi Wen easily convinced the girl and gets what he wants. Compared to the past two episodes I think I’ve written more here, because finally things are moving along on the PingChen front, plus from the preview, it appears Xi Le is starting to see everyone around her might not be as truthful as they seem. I hope they’ll give Xi Le something better to do. As for Zi Wen, he’s just turn more and more evil, and not hiding it either? Whilst I’m glad that story is finally moving along, I’m not sure I like this ‘Ping An as a victim’ business. Especially when she randomly trips and two guys have to help her. They better not keep doing this, I was hoping Ping An can grow up throughout this series and be the strong character she is (most of the time). Finally, what we have all been waiting for Ye Cheng and Ping An cute moments! Happiness!